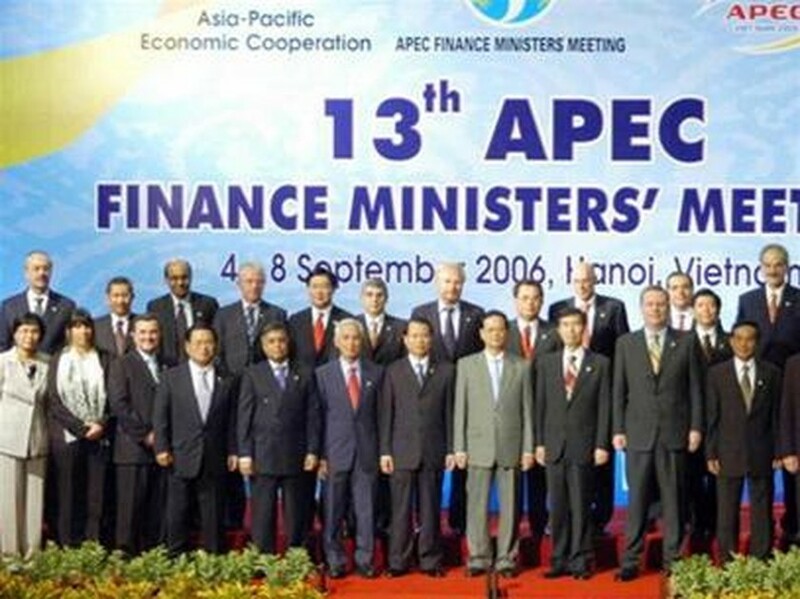 The 13th APEC Finance Ministers’ Meeting (APEC FMM13) opened in Hanoi yesterday to the international institutions such as the IMF, the WB and the ADB as well as representatives from the private sector. After warmly welcoming the attendance of distinguished guests, PM Nguyen Tan Dung affirmed that it was a great honor for Viet Nam to host the APEC FMM for the first time and see the attendance of foremost leaders in Ha Noi, a recipient of UNESCO’s City for Peace Prize. In the opening session, ministers actively discussed and exchanged views on the global and regional macroeconomics, policy orientations and co-operation arrangements for enhancing stable and efficient revenues, contributing to the macro financial system of the region. “To achieve sustainable development, the first and foremost requirement for the APEC economies is to strengthen the sustainability of the macro policies, including the fiscal policy,” PM Nguyen Tan Dung said at the event. “I am totally convinced that with great efforts, the APEC Finance Minister will contribute considerably to the achievement of the APEC year 2006, and the realization of the objective of ‘Towards a dynamic community for sustainable development and prosperity,’” he affirmed. He said that a stable public finance will contribute to macroeconomic stability and facilitate development of the financial sector. Sustainable development of financial sector will also create stable sources of revenue, essential for public finance. On the sidelines of the meeting, spokesman of the US Treasury Department Tony Fratto praised the smooth running of the meeting and feel pity for the two-day meeting could not be expanded. Finance Minister’s Meeting will finish on September 8, 2006. Henry Paulson, US Treasury Secretary, was the official who the press rushed to meet at the event. However, no reporters could approach this top official for his working agenda was full with lots of conventions and meetings. According to the US Treasury Department spokesman, the Secretary was interested in Viet Nam’s Permanent Normal Trade Relation (PNTR) and pledged to do his utmost to urge the Congress to grant the PNTR to Viet Nam as soon as possible. Paulson will talk with Vietnamese students in the National Economic University in the afternoon Friday and hold talks with his Vietnamese counterpart afterwards. 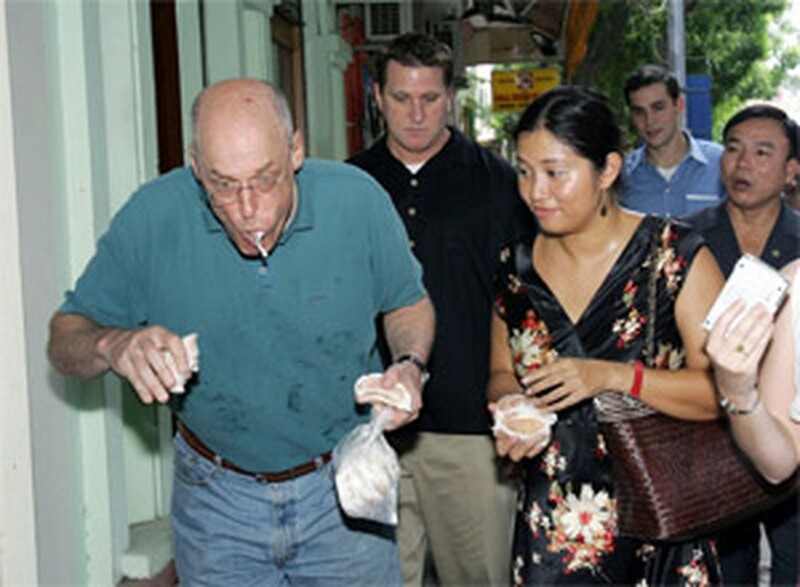 Paulson’s trip to Viet Nam is his first attendance in an international meeting as a Treasury Secretary. Previously, Paulson was Chairman and CEO of the Goldman Sachs Group Inc, a leading financial firm in the US.